A service to honor the life of Barbara Berry will be at 10:30 a.m. Monday, Nov. 12 at Blanchard-St. Denis Funeral Home. Burial will follow at Beulah Cemetery in Marthaville. The family will receive friends from 4-7 p.m. Sunday, Nov. 11 at the funeral home. 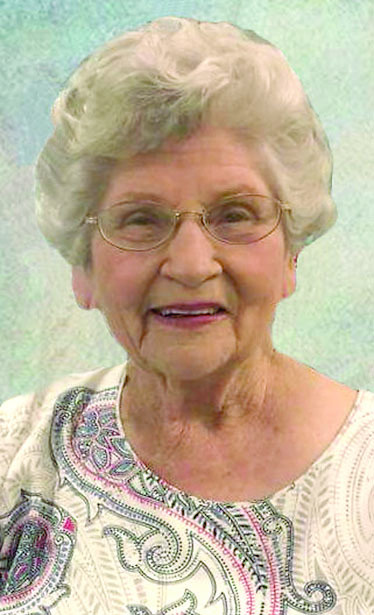 Barbara Berry was a native of Marthaville but has made Pasadena, Texas, her home for the past 38 years. She worked for the Pasadena ISD as a teaching assistant for 10 years, was a member of Thomas Avenue Baptist Church in Pasadena for 27 years and a member of Seabrook Baptist Church for the past 15 years. She loved painting, ceramics, bowling and was known for her gardening. Also, she was a Bingo enthusiast. She was known for her great love of community. She had a sassy sense of humor and was loved by all. She was preceded in death by her husband of 54 years, Foster Berry; parents, Raleigh Lee Middleton and Anna Carrie Miller Middleton; two brothers, Olis Middleton and Reginald Middleton; and two sisters, Claudette Batts and Katie Barnhill. Survivors include her three daughters, Sandra McCarty of LaPorte, Texas, Suzanne Pustejovsky and husband Gary of Seabrook, Texas, and Anita Johnson and husband Richard of Houston; grandchildren, Jeff, Jennifer, Paul, Steven, Ryan, Casey and Sean; great-grandchildren, Wyatt, Chloe, Nathan, Gavin, Canon, Henry and Theodore; brother-in-law, Jimmy Barnhill; and numerous nieces and nephews.